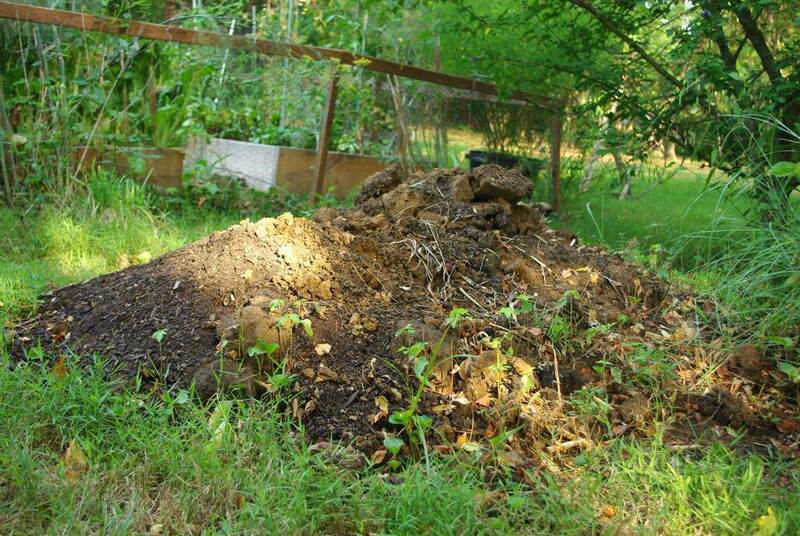 Okay, the title is a bit of an exaggeration, but I've finally found a use for some of my soil mounds -- the ones that were created when various planting beds were dug. 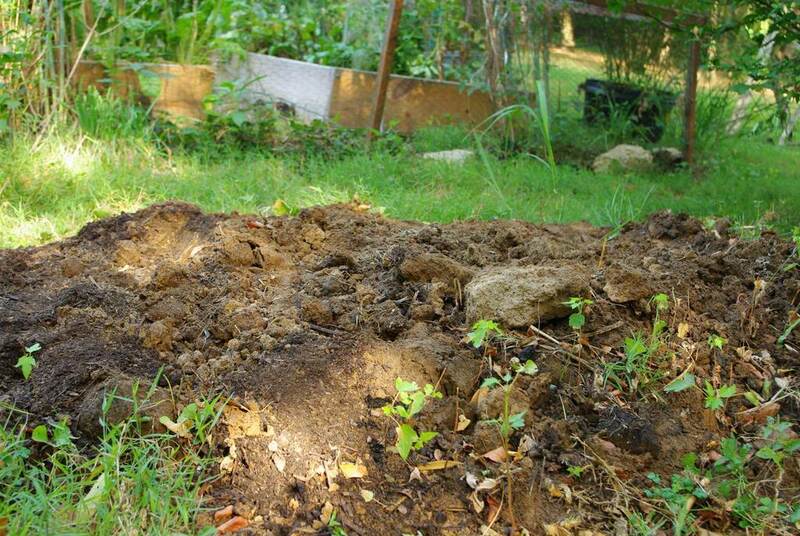 Remember that my soil is heavy clay, and when I start a new bed or create a planting hole I will add lots of compost and possible some bagged topsoil, so the removed soil goes in a pile to "age". Because my yard is entirely on a slope I could easily find places to dump and spread the soil and it would essentially disappear. 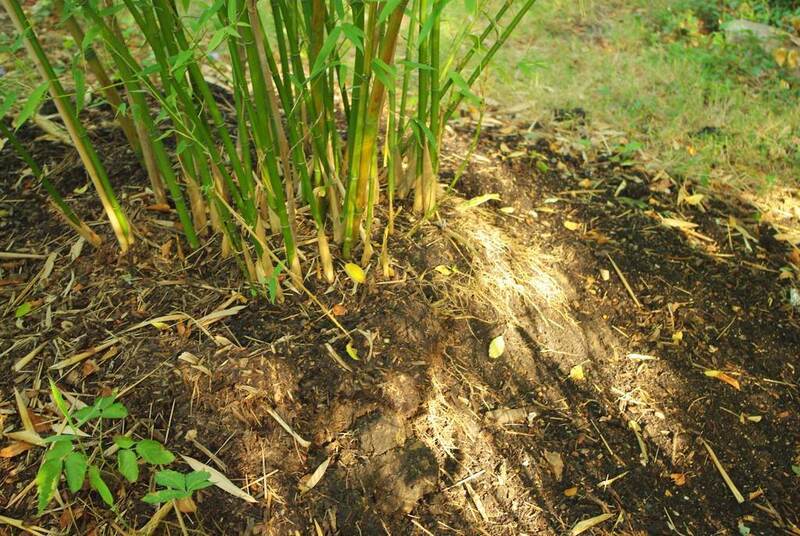 I'd rather put it to use though, and I finally have a good place for it: this bamboo planting. This wasn't wind or water erosion, not even the slow but steady effects of gravity and entropy, but something a little more annoying: the "erosion" due to deer walking through here. 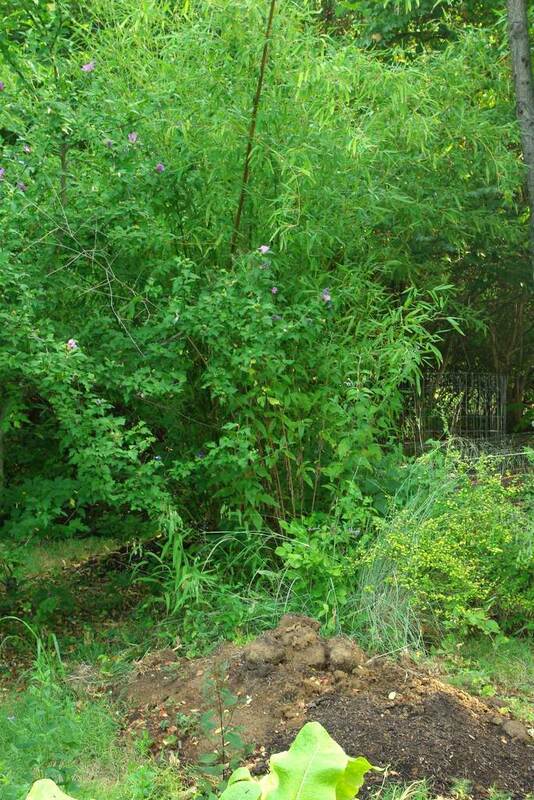 There was a 5' diameter fence around a shrub I was trying to establish back here, and that forced the deer to walk on the edge of this bamboo's mound. 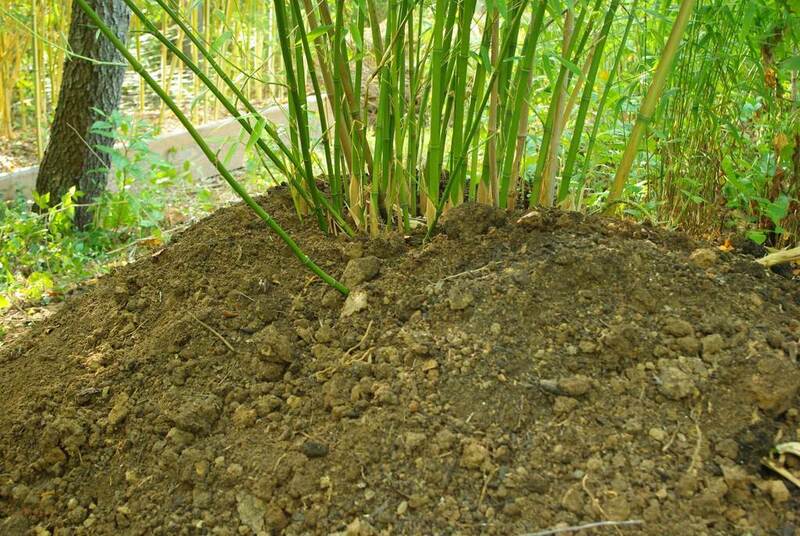 Since the soil mound I have is only 8' or so away from this bamboo, my clever little brain only took about 4 months to realize that I could just use this soil to build up the mound! You can just see the bamboo in the background, behind a young butterfly bush and the branches of the Rose of Sharon. Although the source and destination mounds are only 8' apart as the bee flies, it's more like 20' when the wheelbarrow is involved, as there's no direct path between the two. 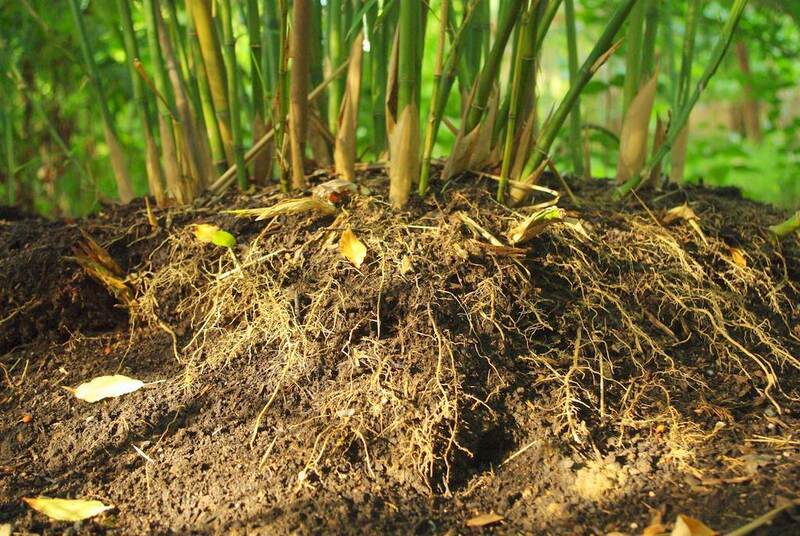 This isn't the best-quality soil around (which is why it was in the pile in the first place), but the bamboo doesn't care. Hello Mister or Miss Box Turtle! 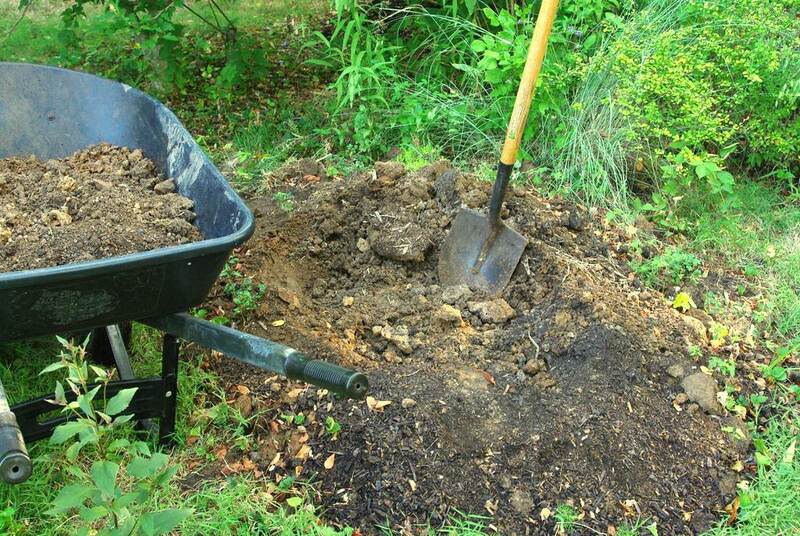 I promise I'm not here to bother you, but I have a few loads of soil to dump then I'll leave you alone. Since my wheelbarrow has been lent out, I was borrowing my neighbor's 2-wheeled one. It's extremely stable, but so difficult to maneuver. I had some trouble getting it into this tight spot. I may just spread it out in this area to get rid of it now. 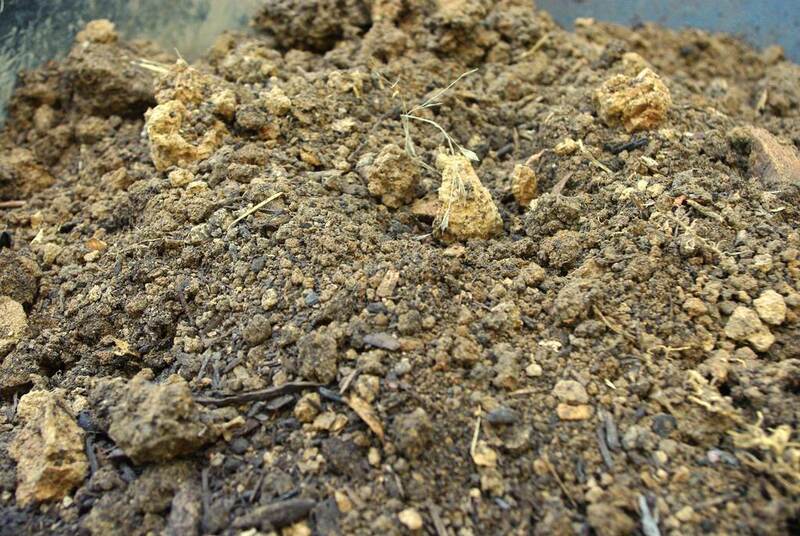 I have a project planned for later this summer that will require more digging and a place to dump the soil, so there's no shortage of this stuff in case I need more. Incidentally, the shrub I had fenced to establish back here never did, and finally died this year. So I was able to pull it out and remove the fence that was diverting the deer. Plenty of room now, so no need to walk on the mound, right deer? That was one of the easiest projects involving bamboo that I've ever done! Now I just need to steer this crazy wheelbarrow back to my neighbor's yard. These things were designed for flat yards with straight pathways, neither of which I have. Uh oh...now they've gotten used to walking where you don't want them to. Hope moving the fence works. Don't you just love those deer creatures? 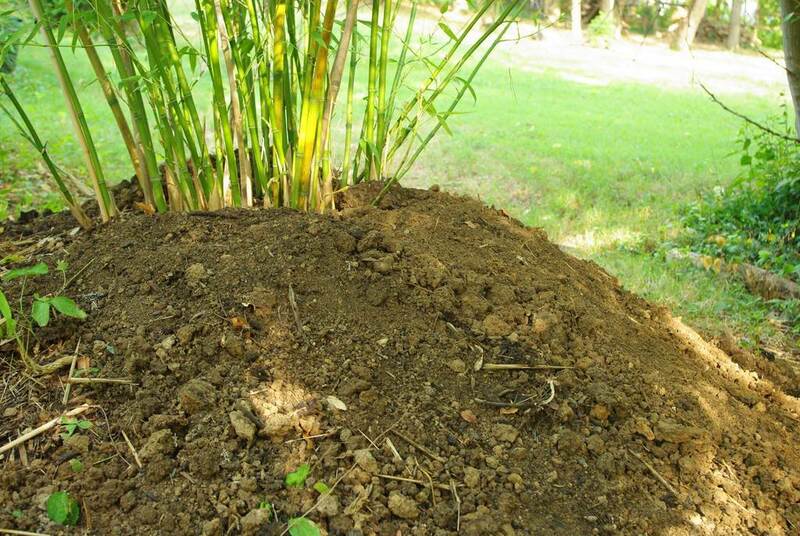 I think box turtle like to lay their eggs in lose soil like your mound provides. Keep and eye out. My parents use to put a frame with wire top, and rocks to hold it down when they saw a egg laying turtle. The rocks help keep the varmits from removing the cover, and eating the eggs. Oh! A new project! Can't wait! I'll bet Poet Whale is right ... that looks like a female to me. 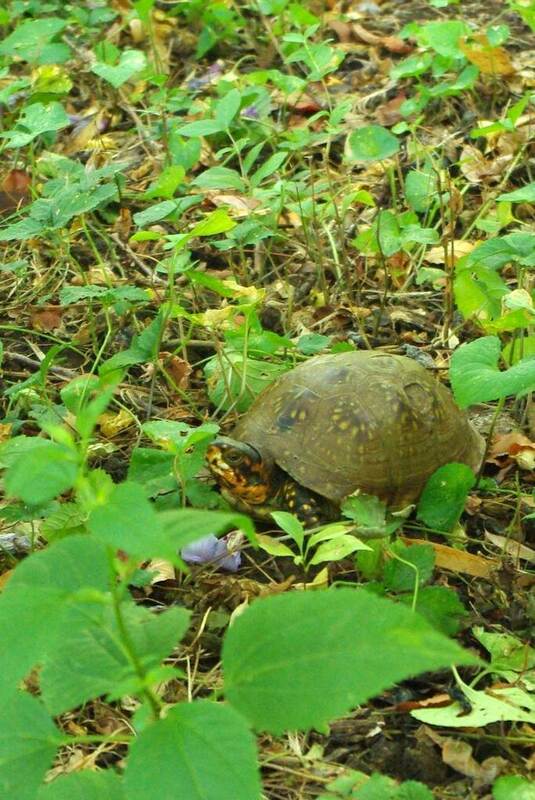 Aren't male box turtle's eyes red? 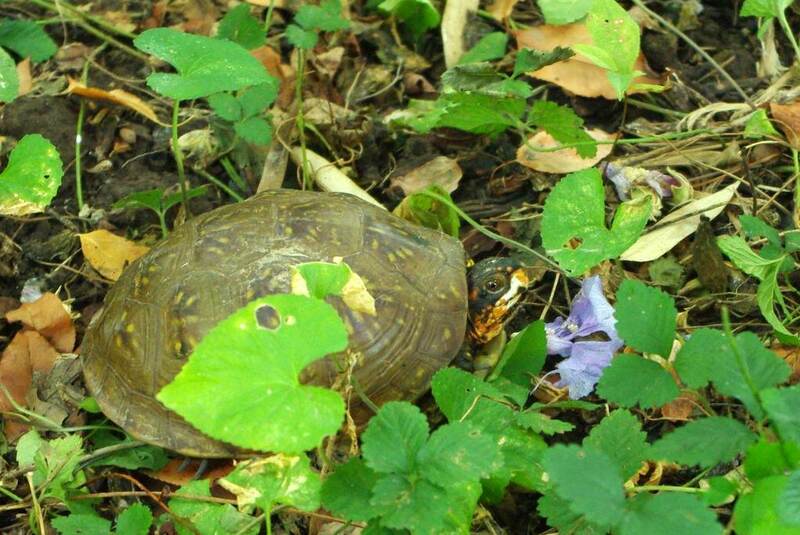 Lucky you; I'd love to have a box turtle in my yard!